As you probably know I’m something of a Transformers fan. I have countless Transformers toys, run several Transformers websites, have contributed to Transformers DVDs and even attended the 2007 premiere of Michael Bay’s Transformers. You get the picture, I like Transformers. Back in 2004 I wrote a two part story for a Transformers comic which was published by Metrodome and given away with their Transformers DVD boxsets. 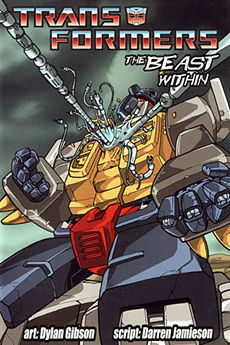 The comic was called ‘The Beast Within Part 1’ and ‘The Beast Within Part 2: Consequences’. I only wrote the script, it was illustrated by the amazingly talented Dylan Gibson, who has gone on to a good career as an illustrator. 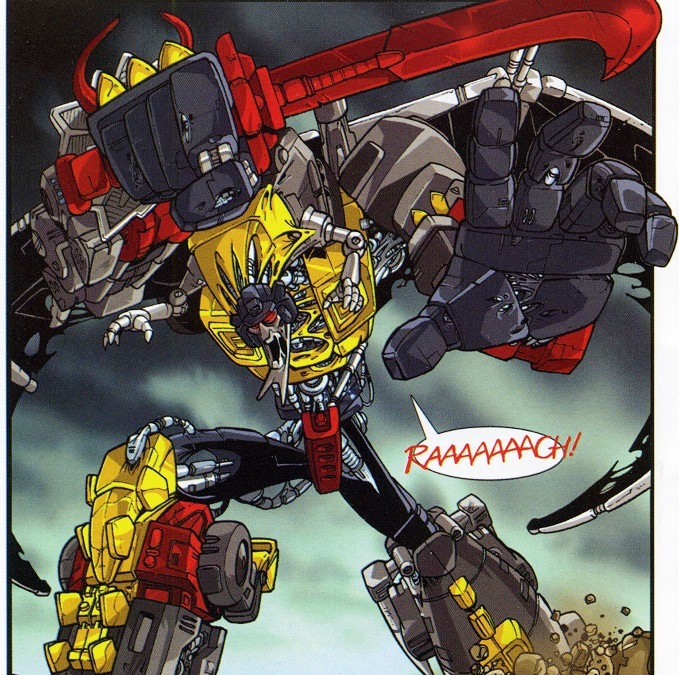 The comic was met with mixed reviews (at best) with some Transformers fans and websites being very critical. This one cites the fact that it was published as an error… wankers. Anyhow, this week I found two YouTube videos from a guy who reviews Transformers toys, reviewing the comics. Incredibly he’s actually quite impressed with the comics, as you can see in the two videos below where he talks you through the storyline and gives his opinion on them. Just thought I’d share this, it’s nice to get positive reviews. If you’re a woman and you’re fed up with long queues at the toilets, this might be the answer to your prayers. This photo was taken inside the women’s toilets at a packed hotel conference centre, and you’ll notice there’s not a soul to be seen. No queues, no bitching, no waiting. How you may ask? This was taken on August 2nd at the Transformers convention at Auto Assembly, in the Clarendon Suites in Birmingham. Incredibly, the women’s toilets was completely empty. So, if you’re desperate for the loo and can’t wait, just head down to your nearest Transformers convention. The ladies’ bog is empty! If you’re wondering how I got this photo; it’s a secret! While we were there in Birmingham we stayed in the Quality Hotel across the road from the convention centre, was cheap and chearful. It’s the same hotel a mate of mine uses when he offers CeMAP training in Birmingham, for those interested in becoming mortgage advisors. You may have seen Google’s site links? They’re detailed page links that appear underneath the #1 listing for some websites when you make a search. For example, Just Search have had site links for about a year now, which you can see here. Google picks sites it thinks are worthy enough and generates these links, which you can have some control over using Google’s Webmaster Tools. Now I’m pleased to say that MrDaz.com has attained some site links from Google. This means that Google considers this website important enough to have site links, which is nice. Shame they still have a PageRank penalty on me then eh? 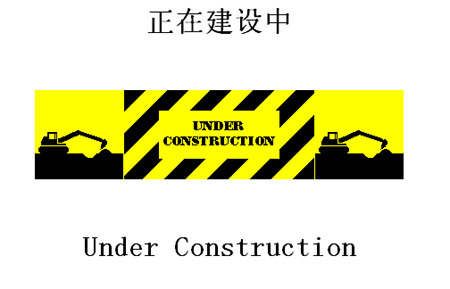 It’s not my only site to have site links either, my Transformers website and the Cardiff Devils site have also attained the prestige of site links. If you’re wondering how your site can get site links such as this, you’ll need to keep adding your content and building up those back links naturally. Google only rewards high quality sites that are updated regularly with site links. Today I received a spam email from Nick Slevin from seoproviders.net. 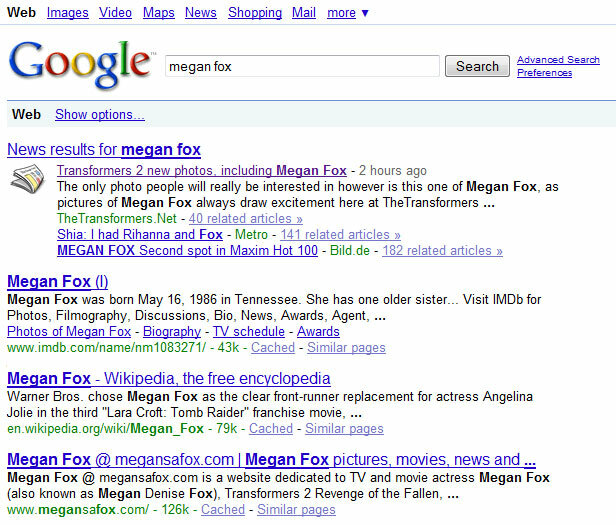 Nick asked if I needed SEO help to improve my rankings, and he sent the email to my address associated with the website TheTransformers.Net. Get more traffic to your website using proven seo tactics. To learn more, please reply with the sites you would like to promote and the best way to contact you with the details. I’d normally delete an email like this without reading it, but after looking at the website for seoproviders.net, and realising the email address he’d sent the email to, I wanted to point out a few things. 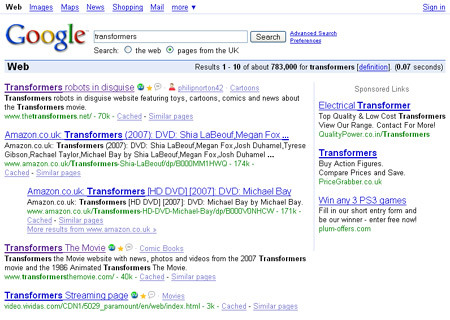 Firstly, the website TheTransformers.Net ranks #1 in Google for ‘Transformers’. 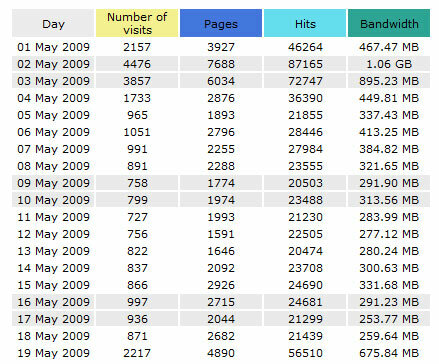 How exactly can seoproviders.net improve its ranking? Do they have some clever software that makes my website appear in people’s browsers BEFORE they search? Some sort of predictive search technology? I doubt it. Seriously, go home Nick. This is the big leagues now. It may not have been the movie we all wanted it to be, but as I feel so strongly attached to it I can pleased nonetheless that Transformers has been nominated for 3 Academy Awards. It’s up for Visual Effects (obviously), Sound Editing and Sound Mixing.